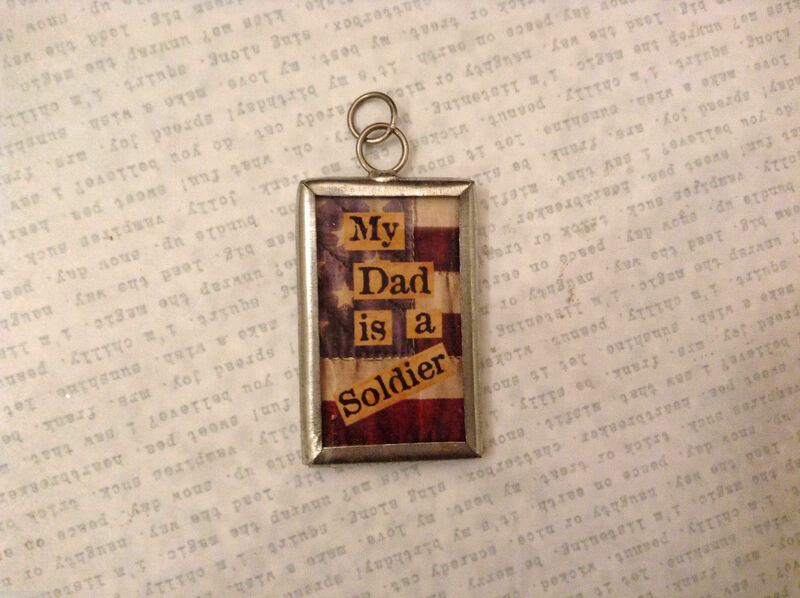 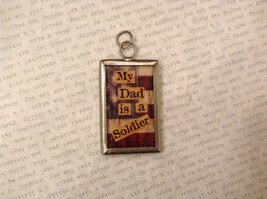 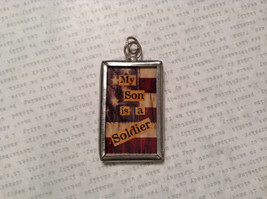 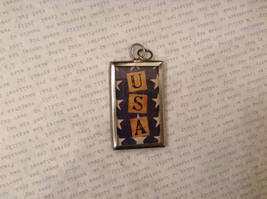 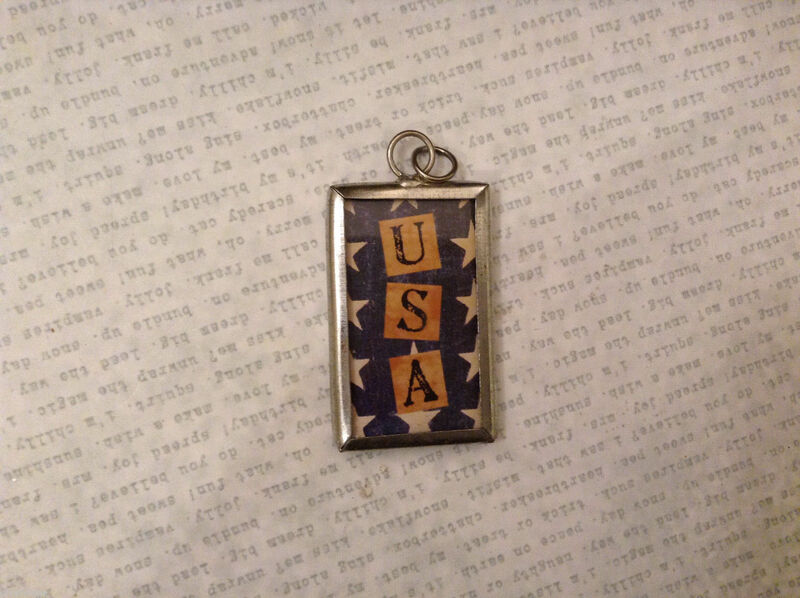 This tag charm has "My Dad is a soldier" saying with background of American flag on one side and a "USA" on the other. 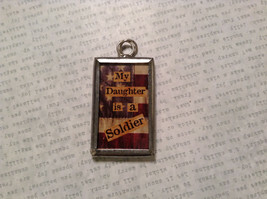 Made of Glass/metal. 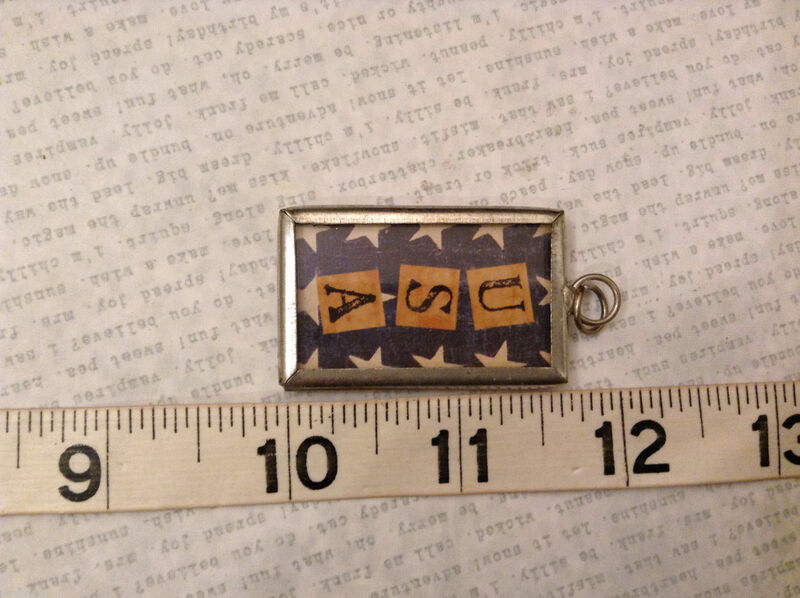 Tie it to a bow and throw it on a gift; sew it into your stocking to hang by the fireplace; put a chain on it and wear it as a necklace or bracelet. 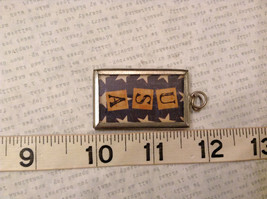 There are so many things you can do with these cute little holiday/Christmas/winter/Spring/Pet loving themed charms. 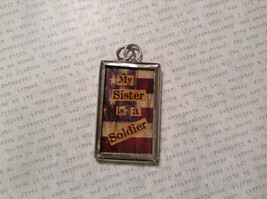 Other charms can be found in our store!